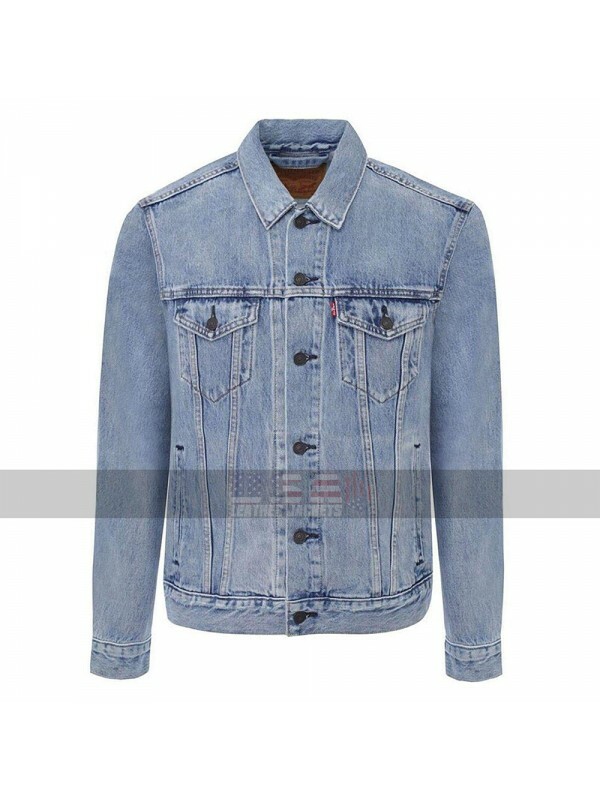 Denim has been in the fashion for a long time these days and is a perfect choice to be catered for the young generation due to the style and layout of its features. 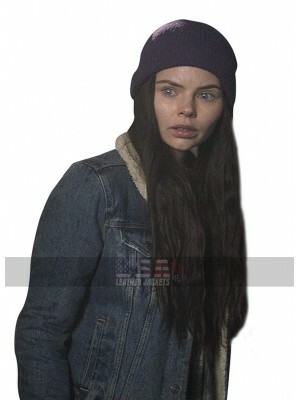 Even in the movies, celebrities are nowadays carrying Denim Jackets as a classic look and consideration. 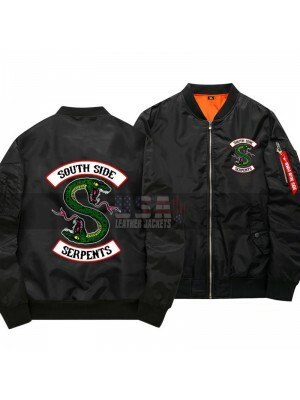 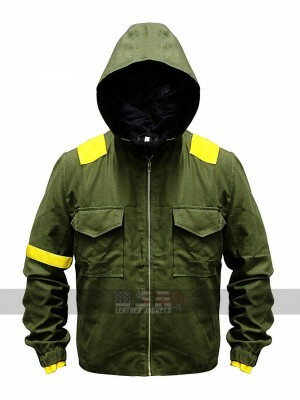 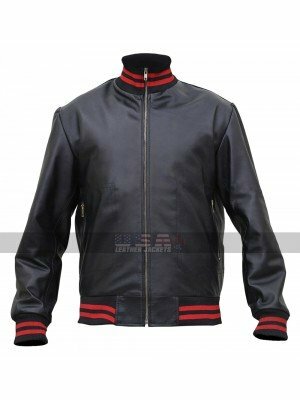 This DJ Snake Jacket is also one such beauty which is made out of the denim material and looks great and appealing in all regards. This Pardon My French Jacket is featured in the blue color and has been provided with the front being enriched with the buttoned closure and the sleeves being full in length. 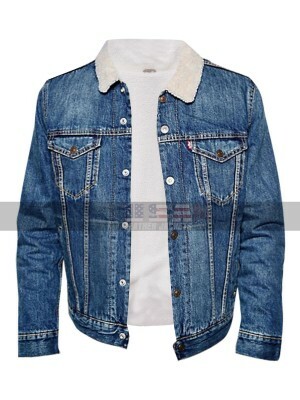 The collars are more like that of a shirt and the sleeves are in full length, this Blue Denim Jacket has pockets at the front too that makes it super classy in all regards. 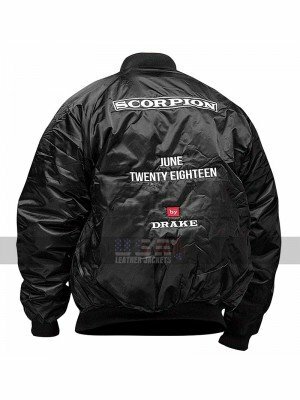 The back of this Pardon My French Blue Jacket is all provided with the white colored text being printed and looks fabulous in just a single sight and appeals the one how takes a look at it in just one instance. 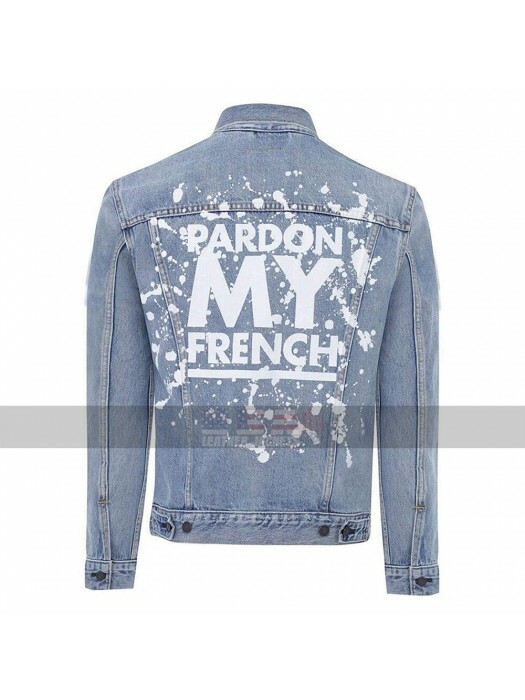 Thus this Pardon My French Levis Jacket may be worn on all kinds of causal instances without a doubt. 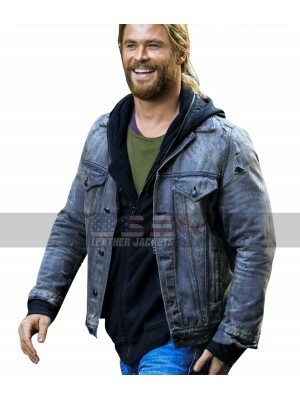 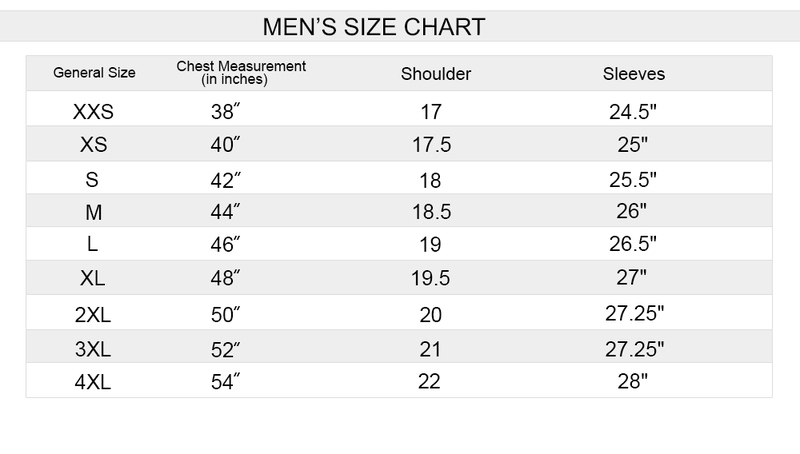 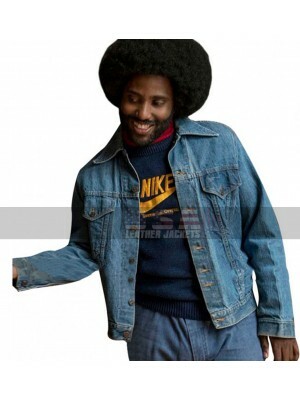 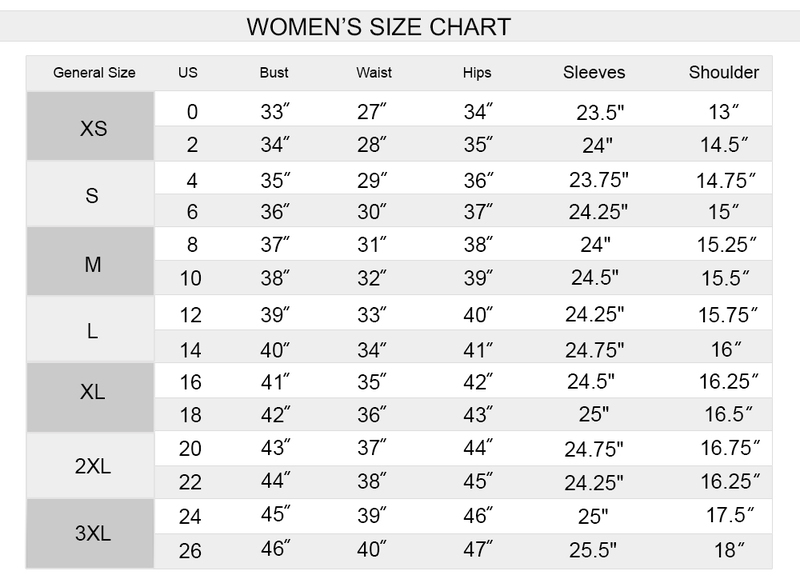 Thor Ragnarok Chris Hemsworth Thor Denim Jacket Thor: Ran..
Ron Stallworth Blackkklansman Costumes John David Washington..
Ryn Siren TV Series Fur Shearling Blue Jacket Up your out.. 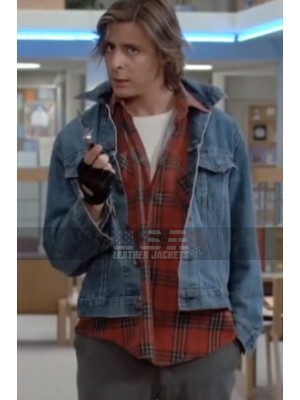 The character of John Bender is considered as a rebellious o..